Handpainted homewares. Photo courtesy of Chabi Chic. 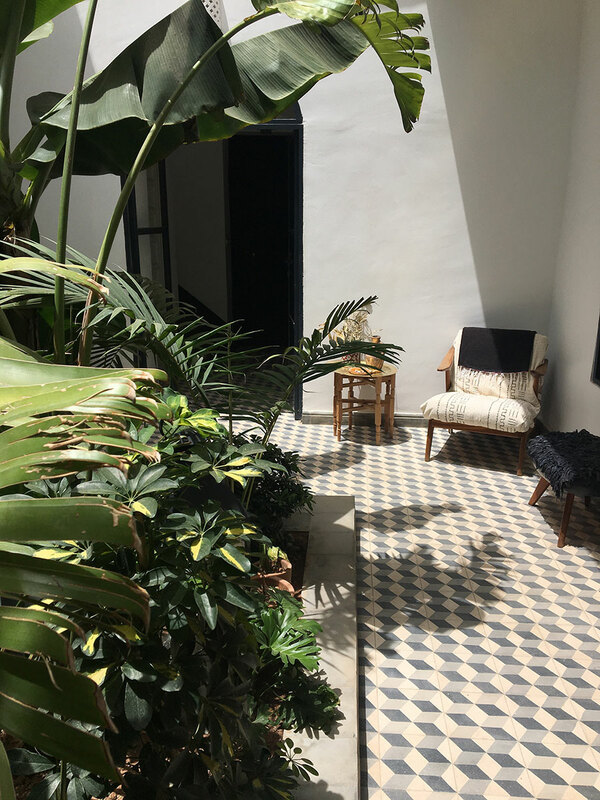 A frequent visitor to Marrakech, designer Harper Poe opens up her little black book of the city's best purveyors of handmade ceramics, silk rugs, and rattan furniture. Marrakech – I have the good fortune of traveling to Marrakech twice a year to develop new products for my global textile company . I love the design, the light, the hot and dry weather, the traditional crafts (of course), the food, the people, and the color... it's called the pink city for its walls, which is magical when hit with the glow of the Saharan sun. I appreciate Marrakech for the beautiful mix of old and new, modern and traditional, French and Arabic. But most of all, I appreciate it for the shopping. The hard-to-find basket souk. All photos by Harper Poe. Brush up on your bartering skills at the rug souk. Wonderful handmade ceramics, baskets, textiles, and glassware. The main showroom is in the industrial city Sidi Ghanem, but they have outposts below in the medina and at . Stop here to pick up a caftan, dress, or jumpsuit by designer Norya Ayron. Originally from Algeria, she makes limited-edition statement pieces in the coolest fabrics.The shop is located upstairs at the lovely . 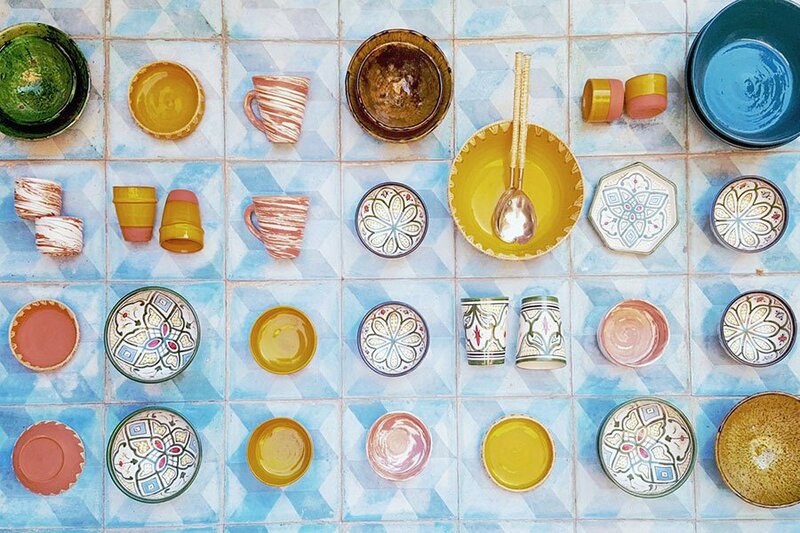 A Moroccan and Sub-Saharan African interiors shop that will make your head spin. 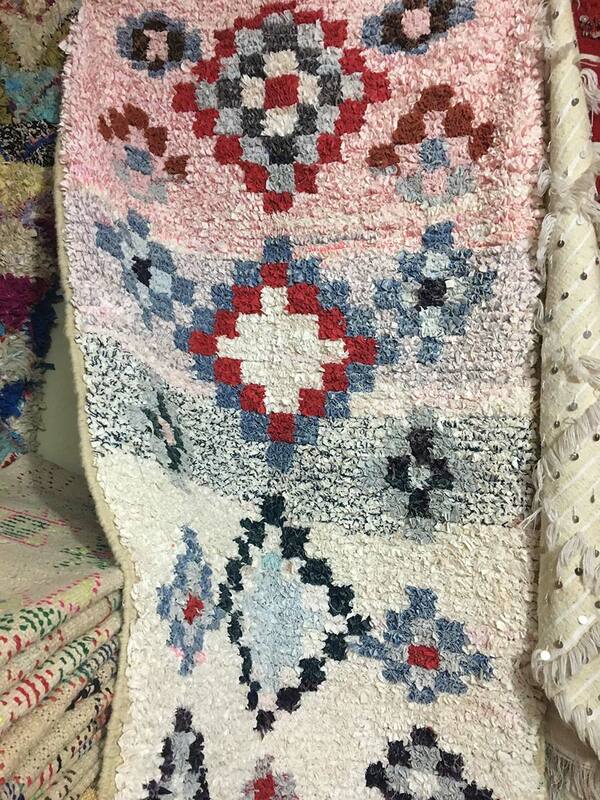 The first room is filled with six-foot-tall piles of rugs, which are pricier than the ones you'll find in the rug souk. They showcase a collection of African crafts that were all chosen with a discerning eye. Not the place to bargain if that's what you're looking for. The rug souk starts beside Café des Epices in the Spice Market. Go for boucherouites, cactus silk rugs, textiles poufs, and Beni Ourain both old and new. This is the place to flex your bargaining muscles. I don't know the exact address of this spot, I've only ridden on the back of a friends moto and had no idea where we were, but it's on the main road going to Essaouira from Marrakech and it's worth the journey. 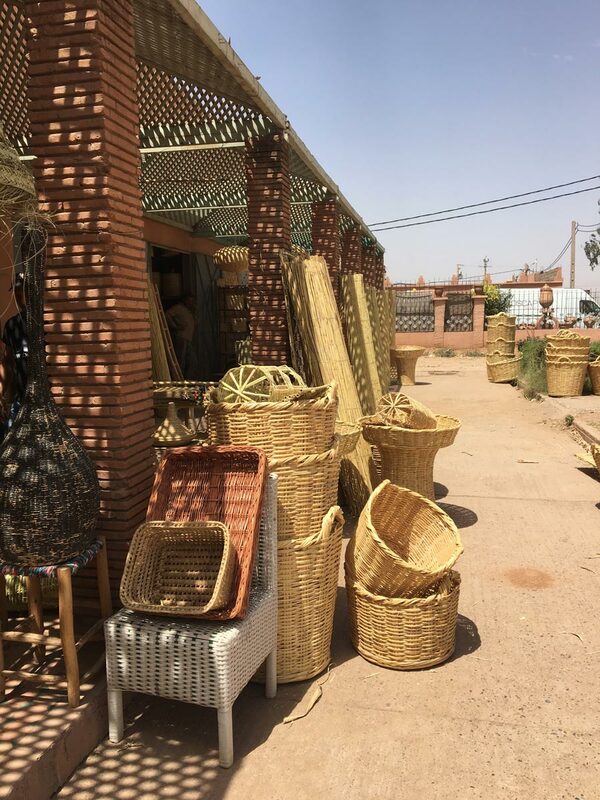 The basket market is a row of eight-to-ten shops that carry and make baskets, rattan furniture, and other natural fiber treasures. If you love baskets and natural fibers, seek this place out. An Islamic college built in the 14th-century in the center of the Medina (old town). 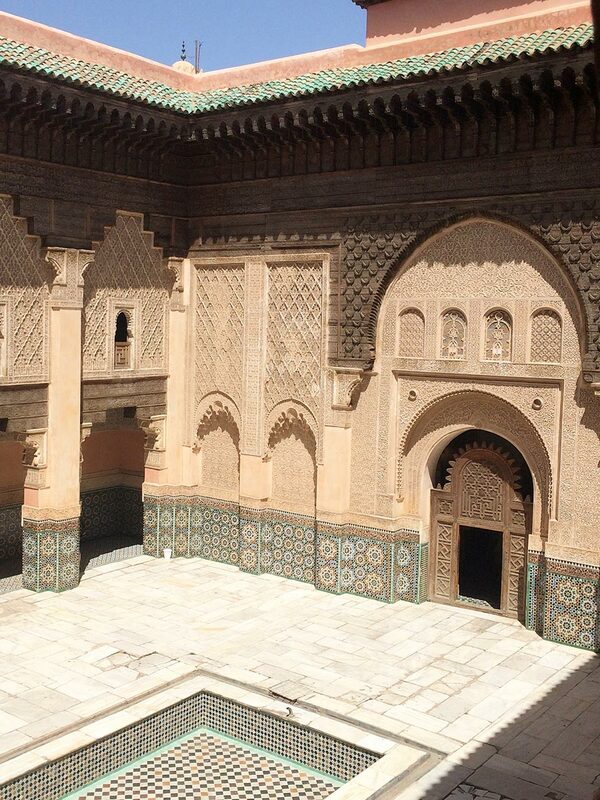 The center courtyard is awe-inspiring with intricate tile, marble, and woodwork. An amazing spot for photos. Pure magic. 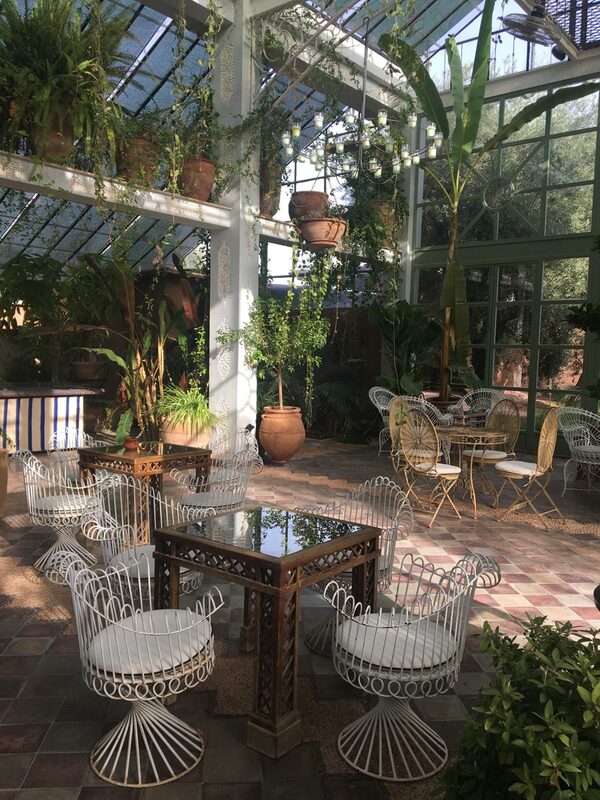 Go for the day: lounge by the pool, eat amazing food at the restaurant, roam the gardens, see the Beldi glassware being blown, shop at (Moroccan-made textiles, accessories, and ceramics) and the (hand-blown recycled glassware in a rainbow of colors). It's one of the most touristy attractions in Marrakech but it really is that beautiful. The museum shop is a wonderfully stocked jewel box filled with luxe Moroccan caftans, jewelry, accessories, and home décor. The has a beautiful collection of textiles and jewelry. Take a journal, stay awhile, and enjoy. My go-to lunch spot while I'm doing souk shopping. I usually go for the lentil salad, gazpacho, and fresh juice. 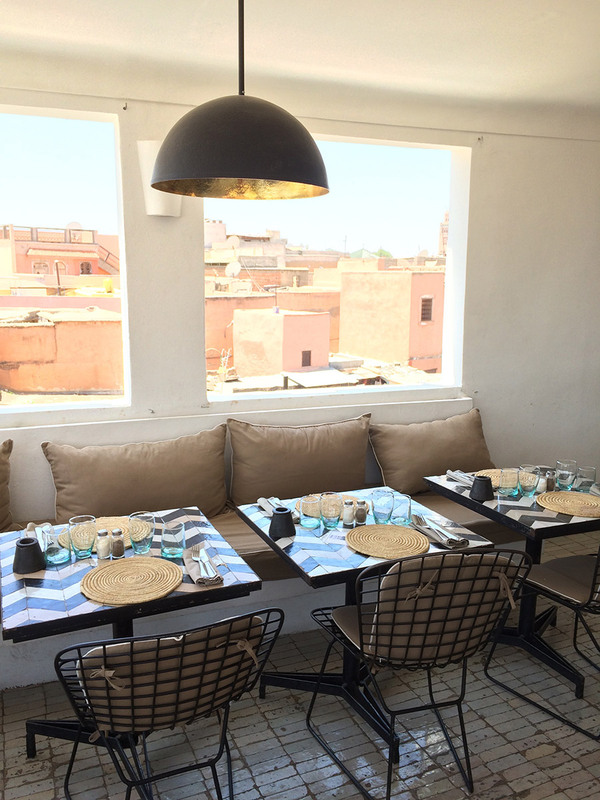 I often need a break from the bustle of the medina, so I head to the cool, modern restaurant in the new city, Guéliz. The rooftop is a perfect spot for a cold G&T and a burger. If you're shopping the souks you will end up here multiple times a day. When it's super hot, I stop in for a quick juice or water, it's my meeting spot when I'm visiting with friends, and it's where I go for a WiFi break. 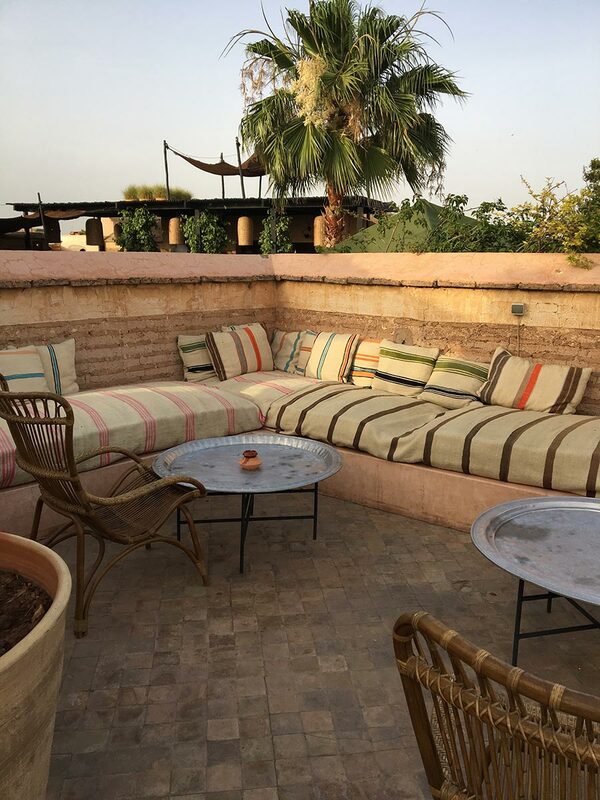 Go up to the roof for a perfect view (and photo) of the spice souk. 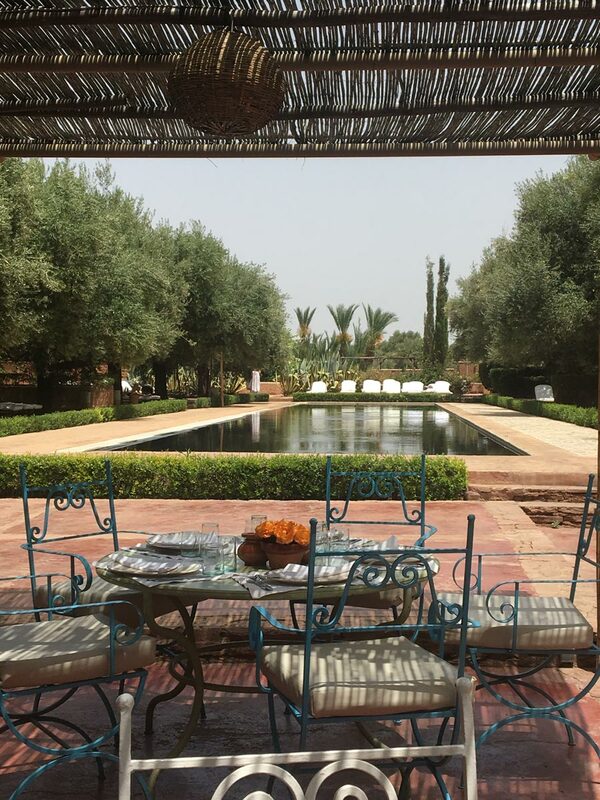 The most stunning riad owned by Vanessa Branson, Richard Branson's sister. No detail is left undone. I usually treat myself to dinner and drinks here on each trip. I stayed here on my first trip back to Marrakech after fifteen years and haven't been able to get a reservation since. It's that great. Laid-back, well-designed, with good food and people who are always interesting. The owner Cristel is delightful and super helpful. The place is simple, bright, and well-decorated with great attention to detail. The library is amazing and full of lovely art books. The hotel is a good deal, too. Этот популярный интернет-сайт , он описывает в статьях про www.np.com.ua. Harper is the founder of . You can follow her on Instagram at and . She travels for the love of discovery.